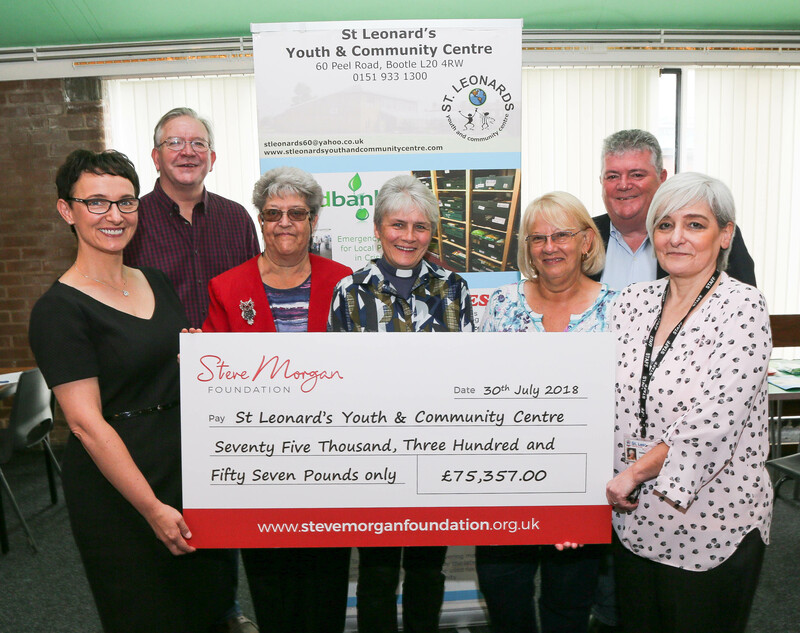 The Steve Morgan Foundation has awarded a grant of £75,000 to the St Leonard’s Youth & Community Centre in Bootle. St Leonard’s provides a range of much needed services to local residents and the grant will be used to help fund the Centre Manager’s salary for the next three years. With 13,000 people registered at the Centre, St Leonard’s is a busy place. There are activities for all ages; ranging from the Kidz Club to Poppies, which offers exercise sessions and social outings for older people. Many of the activities and groups for adults aim to help improve job prospects or health & wellbeing, as well as being fun. However, it’s a sign of the times that the main activity is the running of a food bank, one of the biggest in the UK. This provides about eight tonnes of food a month and co-ordinates 10 different distribution centres.